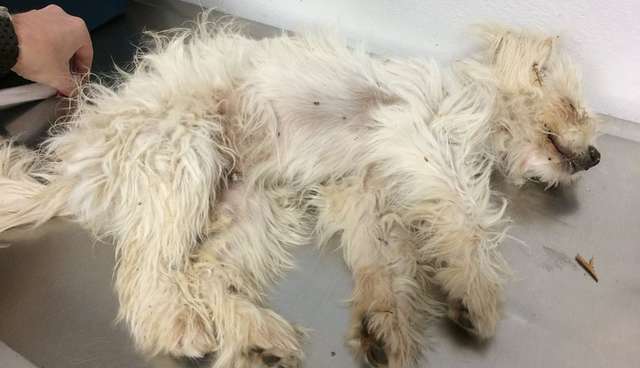 David Loop was on his way to work when he spotted a the lifeless body of a small white dog lying in the middle of a Los Angeles road. A dashboard camera on Loop's car caught the moment he first spotted the dog, just a little white lump. 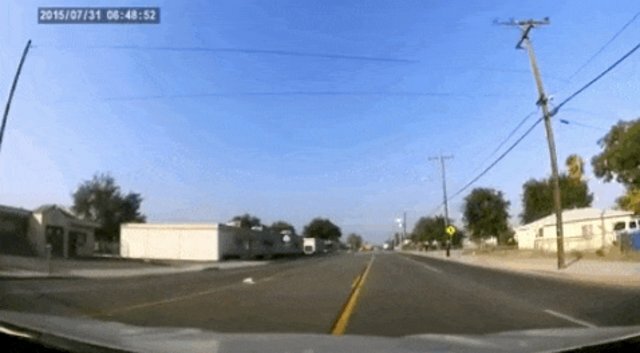 Loop pulled over to move her body out of the way of oncoming traffic, but just before he left, something amazing happened. "I was about to leave and I saw her eyes blink," Loop explained on his Facebook page. "So I ran back to my car and grabbed a litter pan and put her in it and rushed her to my vet." The little dog was alive, but just barely. She had a broken femur, was covered in ticks and there was a possibility that she had devastating internal injuries. But Loop was already head over heels for her. "She started whining and my heart melted, literally melted in my chest," he wrote. He started calling her Miracle. Over the next few days things were touch and go for Miracle. Loop visited her often, posting updates on his Facebook page. "I just had a visit with Miracle, she is stable, I was brushing her hair with my fingers and she opened her eyes," he wrote on August 1. Amazingly, Miracle began to gain strength. After a few days at the vet's office she began to eat on her own and look around, clearly aware of her surroundings. The staff decided she was strong enough for surgery to repair her broken bones, and Loop was elated. But while Loop was rooting hard for Miracle, he was also faced with her mounting medical bills. Loop set up a fundraising page to help cover the costs of her surgery with the goal of raising $8,000. He's already surpassed his goal by thousands. On Thursday Loop shared the happy news that Miracle had made it through her surgery - the next step would be bringing her home with him. "I hope that she has touched your heart like she has mine," Loop wrote on his Facebook page, thanking his friends and family for their support. "I can only hope that these events will bring us all together and remember ... Be kind, love people ... and animals too."